When we were asked to do a Chef’s Plate Review (because Chef’s Plate doesn’t deliver to Kyle’s area), I had a lot of trepidation. Most of the reviews that I’ve read sound like advertisements – if I see “kid friendly, husband approved” one more time! – and I never got a good feel as to what the boxes provided, or any differences between the various companies. I begrudgingly agreed to the abstract concept, not thinking anything would come of it until last week when my husband forwarded me the confirmation email which included the meals he had picked. After trying Chef’s Plate for a month, I have come to the conclusion that meal kit delivery services are a great idea. Bringing recipes and ingredients to busy couples or families who are concerned about how much they are spending eating out, or not eating enough ‘real’ food is a valuable service. (Obviously many Canadians agree with me given the growth of the Canadian meal kit industry.) I personally found the most value in the new spices/ingredients that I was introduced to, as well as the luxury of not having to worry about dinner until 30 minutes before it was supposed to be on the table! –“A whole new world of ingredients”. There is an ad that features a woman holding a red onion with this line as the caption. I can scoff all I want, but from now on I will be buying chili garlic sauce. Yes! -I enjoyed not thinking at AT ALL about what I’m doing for dinner at night – or if I have to take anything out ahead of time. -An easy-to-use app or online account that lets us plan/choose 12 meals in 5 minutes or less! Chef’s Plate is one of the most diverse meal kit delivery companies in Canada. You get the most weekly recipe options for the lowest prices in Canada. The large number of 15-minute meals makes Chef’s Plate ideal for REALLY BUSY folks. Overall, it’s obvious why so many Canadians have chosen Chef’s Plate. Is Chef’s Plate Worth It for You? Secondly, we have allergies in our house. (Surprise – it’s me!) So I worried about the range of options that would be available. Finally, I was concerned about how healthy the food would be – I like having control over the food that I eat. I am not affiliated with Weight Watchers (or the new, trendier ‘WW’ rebrand) but by following their program I have lost 50 pounds over the last few years (48-52 if I’m being honest… today is a 49.6 pound loss). Being able to plan my meals ahead is a big part of my success because I am still fighting that persistent 10 pounds. Also, being able to adapt recipes for what I eat and what my husband eats is helpful. Things that we love – but rarely eat – pasta, potatoes, cream, sugary stir fry sauces, fattier cuts of meat! I knew exactly why he picked what he did (this is the man who suggested I go with chicken fingers at a restaurant when I said I wanted to eat healthy after all), but it was going to make staying on track for me pretty tough. The package was delivered to his office and we brought it home. The ice packs and cooler kept everything together and chilled while it sat at room temperature all day, and each meal was in its own paper bag to pop in the fridge. Very cute and appealing to my organized nature. 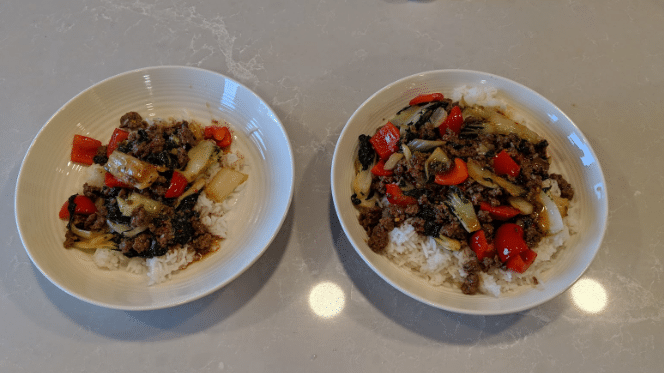 The pricing versus other Canadian meal kit options was certainly attractive. I also appreciated how much of the packaging was recyclable! Everything went in the fridge, and I scoured the recipe book and nutritional information on the bags to calculate my points. The bags + recipe cards made this is a super easy process (the info is also online too if you prefer to read that way). You can see the calories when you choose your meals, which seem to range from 600-1000, but not all calories are created equal! I was a little shocked to discover that these meals were going to range between 19-24 WW points. For a point of reference, I can eat 23 points per day. Another concerning factor was my husband (who is a pretty big guy) picking up the 3 vacuum packed meat portions and asking “are these all for the same meal?”. I guess my portion sizing at home has been a little off. I was determined to not alter the recipes and give this a fair go. So the plan was that I would eat a ½ portion for a more reasonable 10-12 points and Justin would have 1.5 portions. No complaints from him, some minor grumbling from me. In preparation, I made a giant green salad to fill the rest of my plate. Overall, it’s hard to answer if Chefs Plate is worth it for you without knowing you! 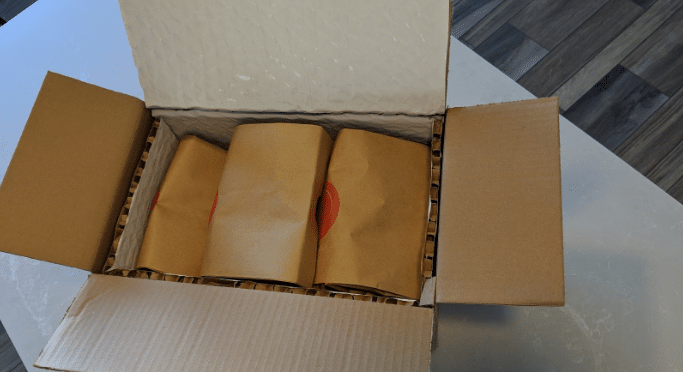 If you want to test out the meal kit concept to see if it fits your family, then Chef’s Plate is certainly a good option in that it has the lowest prices for Canada-wide meal kit companies. That said, it’s still more expensive than buying your own groceries. If you prize lean cuts of meat, and slightly better quantity & quality, I’d try HelloFresh and see if you appreciate the difference. 1) Do you often feel rushed during your evening routine? 2) Do you find meal planning and grocery shopping a chore – or does knowing that you have to buy groceries on the way home weigh you down that day? 3) Do you feel a bit “confined” or “tired” by your usual meal lineup? 4) Do you need help moving away from eating super large portions and into healthier options? 5) Do you often have to throw food away that has spoiled? 6) Do you find yourself eating out at restaurants too often for a healthy you – or a healthy budget? The more of these questions that you answered yes to, the greater the value you will get from a meal kit! Now, what to make first? For people who don’t cook, a stirfry is a great option to get started. Rice or noodles are nearly foolproof, add in whatever vegetables and protein you have in the fridge, and some sauce. Boom. Endless possibilities. So, much like I am annoyed when my husband orders pasta at a non-Italian restaurant, I rolled my eyes at his choice of prepackaged stirfry. The bok choy was getting a little yellow around the edges and the pepper had a couple of soft spots, so this became meal #1. I did love the ‘read the entire recipe card’ as step 1. Took me back to high school “Read all instructions first!” The recipe seemed simple enough. Boil your water and add your rice. Cook your meat. Remove meat. Cook veggies. Add meat and stirfry sauce. Serve. The 15 minutes estimate was a little modest, but maybe I mess around in the kitchen more than some would. I will never understand the necessity of adding oil before cooking ground beef, and then after removing the beef, adding MORE oil before adding the vegetables when there is still beef fat in the pan. Someone please enlighten me! The meal turned out great. The vegetables were crisp and the meat was well seasoned. The sauce tasted good, but there was A LOT of it which drew some complaints. I will probably make a similar sauce again, but this wasn’t a huge winner in our books. Kudos to all of the food bloggers out there! Taking these few pictures was NOT easy. Chefs Plate has four different food subscription box options to choose from. Delivery is free with each option. I noticed that Chefs Plate definitely puts more emphasis on 15 minute meals than HelloFresh does. Patrick Meyer and Jaime Shea started Chef’s Plate in 2014. After moving their headquarters to Toronto and selling more than 2 million meal kits across Canada, the pair saw their company acquired by industry giant HelloFresh for a handsome profit. 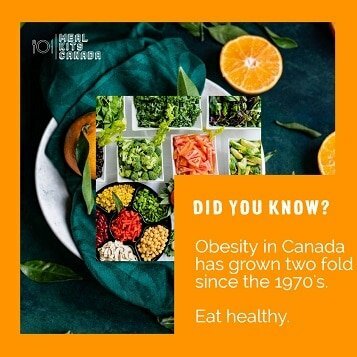 The Canadian meal kit company is proud to boast that they source much of their food from local Canadian farmers, fishers, and suppliers. Below is a sampling of one week’s meal options on the Chefs Plate menu that we could choose from. As you can see there is something for a very wide variety of palates and caloric preferences. 1) What happens if I’m not home for the delivery of my food box full of delicious meal kits? Having Chef’s Plate delivered to your place of work – the box can sit beside your workspace all day and it won’t be a problem. Kindly ask a friendly neighbour to accept your delivery – and maybe invite them over to share a meal once in a while? Make friends with a local business that you frequent, and have them accept your food subscription box each week. 2) Can I skip a week if I’m out of town or just want to save some cash? Yes! The app and online account management that Chefs Plate provides makes it two-click easy to skip a week if you so desire. 3) Is there a delivery charge? 4) Where is Chefs Plate’s food sourced and are your ingredients organic? Chef’s Plate makes every effort to source their food primarily from local farmers, fishers, and growers. Obviously given the reality of Canadian geography and winters, there is a ceiling on how much local produce they can include in their meal kits. In a 2017 interview, Chefs Plate founders stated that if we include winter months, the company average roughly 65% of their meal kits fulfilled by local Canadian companies. I found no claims as to the organic status of Chefs Plate – only that the food in their meal kits has reached the highest levels of certification. 5) Does Chefs Plate offer meals for specific dietary restrictions? Chefs Plate does provide several gluten-free and dairy-free options to choose from in their regular menu rotation. However, at this time there is no exclusive plan for these meals. The meal kit company does allow you to go into your online account (through either the website or app) and select “taste preferences” for your auto delivery. At the current time, Chefs Plate cannot guarantee that all food items have been unexposed to nuts or fish (to name two primary allergens) however food does come separately packaged, so if allergies are mild in nature, omitting ingredients is simple enough. 6) How long do the meals stay fresh for? Obviously not all foods are created equal when it comes to staying fresh in your fridge. Chefs Plate prides themselves on using hand-selected fresh ingredients. That said, if you are using fish and seafood recipes, you will see that they come with a “cook first” label (which is pretty common sense – even for a kitchen novice). Their Nutrition labels all include “guaranteed best before” dates for your perusal. Here’s a cool video I found looking at how menus are created and ingredients selected at Chefs Plate. 7) Where does Chefs Plate deliver? Chefs Plate is currently delivering in Nova Scotia, Manitoba, New Brunswick, PEI, Quebec, BC, Saskatchewan, and of course, Ontario. It’s important to note however that if you live in a bedroom community, “exurb” or suburb, HelloFresh might be the only meal kit that delivers to your area for the time being. It’s easy to understand why Chef’s Plate is one of Canada’s top 3 best meal kits in Canada – their food is delicious, quick & easy to prepare, and the price is right! If you’re looking for the lowest-cost way to try the whole meal kit experience, is the option for you.